Located at the corner of Pecan Park Rd. and Sewell Road there is easy access to both I-95 and Main St. This prime piece of property is located in the heart of one of Jacksonville, Florida's premier growth areas. With the River City Town Center nearby and new construction by Shands Hospital and other established companies, many uses are possible. 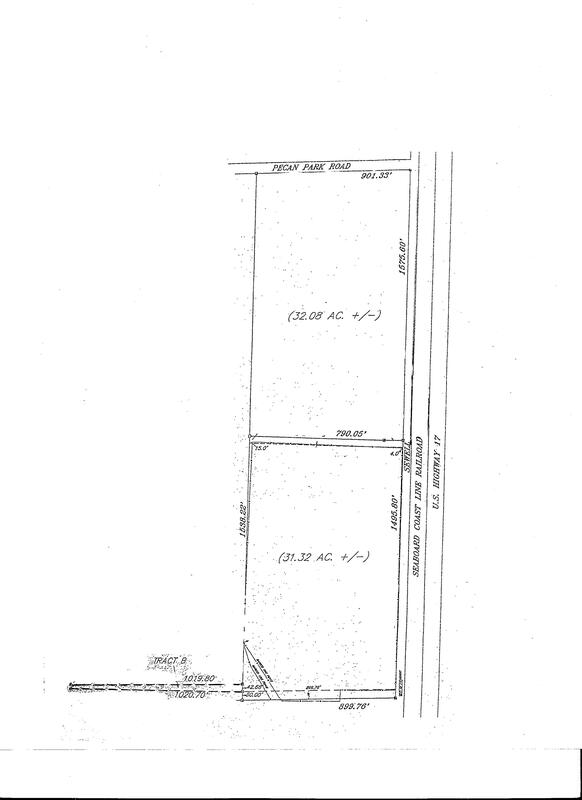 Road Frontage: 901.33 ft. +/- on Pecan Park Rd. 3071.40 ft. +/- on Sewell Rd.